We are IT solutions company with highly motivated IT professionals. Dedication, planning, strategy development are main team strength. We provide web development services mainly for your business branding purpose. As IT solution firm we know our role in creating strong IT solutions connected with business. We can develop, strengthen and boost up your business growth process. If you were in a long run to find IT Solution company with dedicated and skilled IT professionals, just fill up our contact form. Brahma IT solutions is just close to you for your IT solutions. We can provide complete package of web solutions which includes planning, development, promotion, conversion, tracking and analysis. We can look after your web assets, monitor regularly and analyze every improvements achieved. We know the importance of business relations. We are obliged to provide maximum support and solutions so that your business growth and development process can be achieved through us. Primary concept analysis means analysis of possibility study and research for your business. We can identify the possibility of your business growth and deals. We can conduct different version of analysis including, identification of keywords, targeted areas, location of market, search volume, search demand, competition of same keywords, influence of competition and dominating websites in same business category etc. We can provide services connected with database development and management for your business assets. It will include solutions and management of database connected with your employees, organization assets, client list, subscribers management, email list, event data etc. Brahma IT Solutions can deliver high quality services connected with coding and programming your website. We can use most advanced html coding, scripting, seo friendly arrangements of web properties. Once your website and apps are developed we can conduct testing and fix all errors and make your web properties as error free and valid with all web standards. We can conduct search engine optimization for your website. So that it will be listed in google for useful potential keywords. 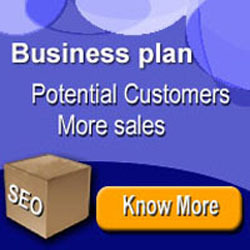 The website can get more hits, visits, traffic and business queries if it is optimized for search engines. Social media plays an important role in web presence and user’s crowding etc. Latest studies shows that 90 of internet users assemble in social media sites during 95 % of their net using time. So optimizing your website for social media is very important for your web presence. We can help you by conducting conversion optimization which will boost up your business conversion options. We can develop and install tracking codes and tracking software in your website. Our team can regularly monitor, analyze the tracking records connected with your website performance.